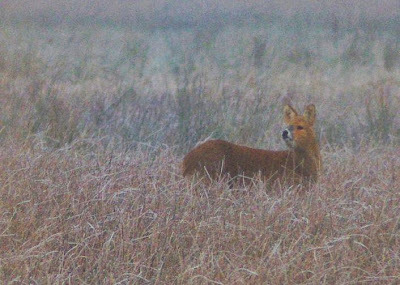 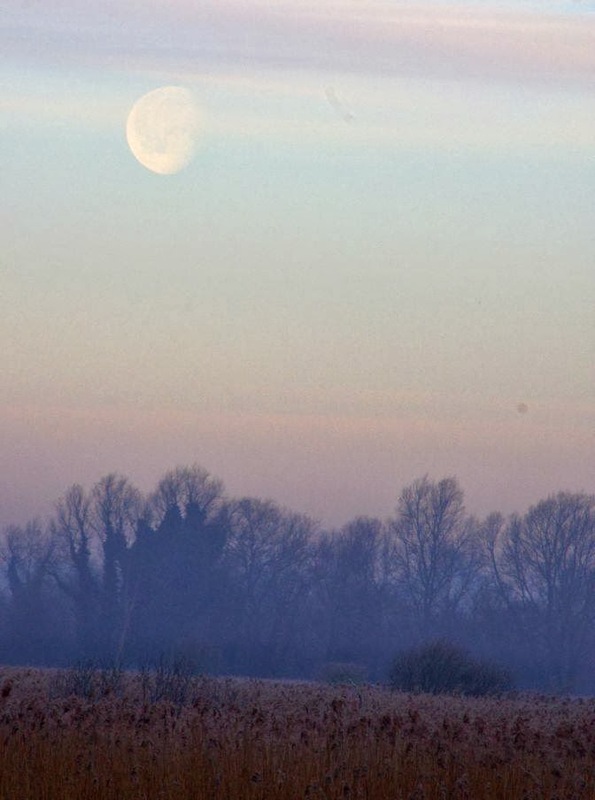 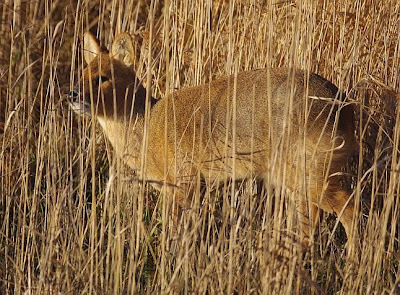 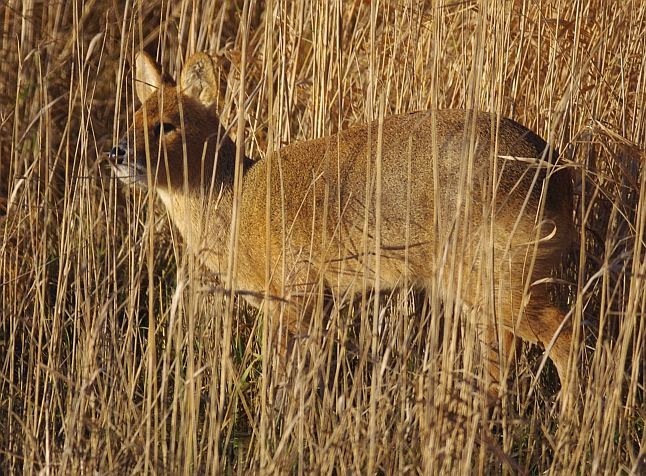 A murky and somewhat damp walk around the Fen (from 7.45 - 10) was almost devoid of interest: a few distant Bullfinches, a couple of Marsh Harriers, half a dozen Whoopers over and Christine, a pleasant lady-birder for company in Fen Hide. 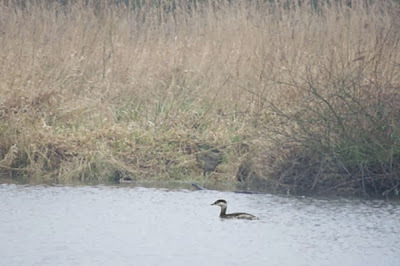 As I approached the Pumphouse, I spotted a small Grebe on the far bank of the River Yare: one quick shot before it dived was all I managed. I waited half an hour, but it never reappeared. Nevertheless, I'd seen enough to know it was a Slavonian Grebe - a patch tick for me! 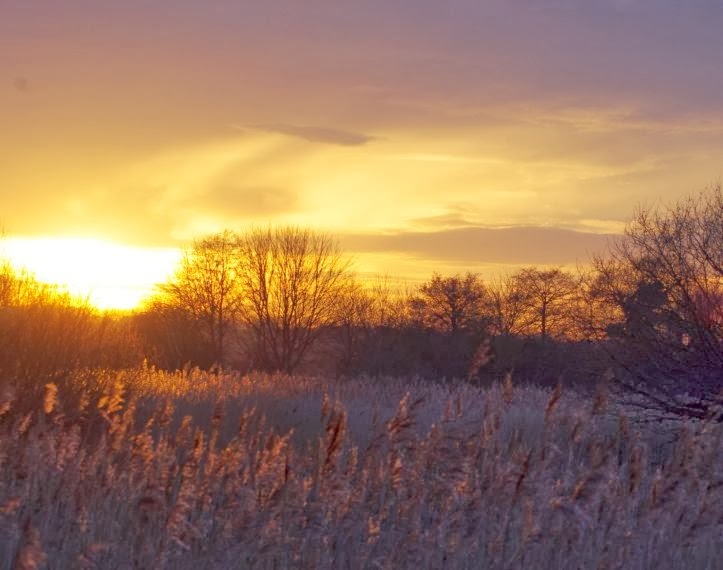 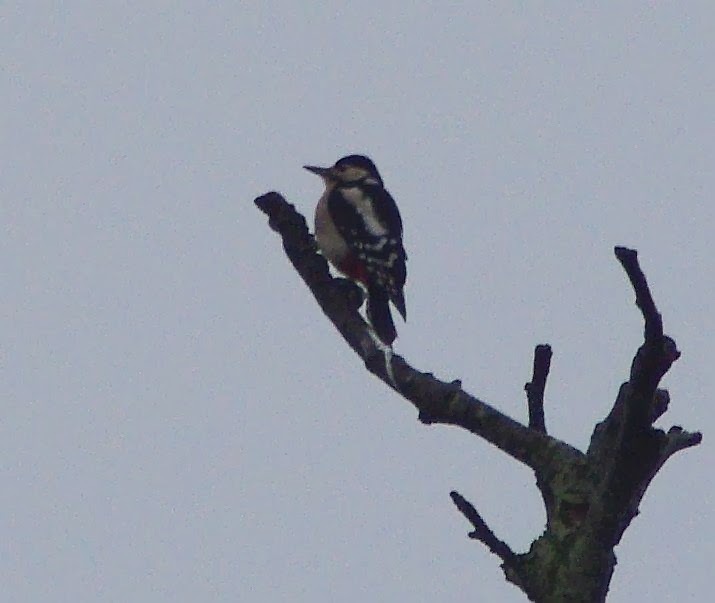 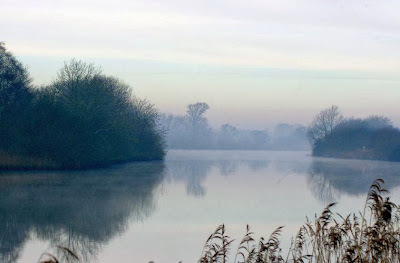 If I fail to get a picture, I frequently forget what I've seen over the course of a long walk: the Grebe reminded me that I'd seen another new patch bird on Tuesday - a dapper little Male Merlin that flew from a tree to the left of Fen Hide. 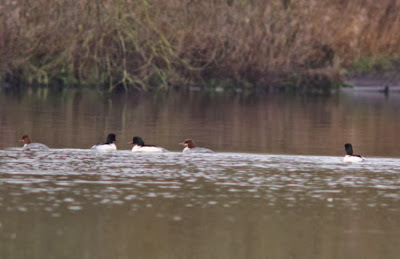 An amusing incident occurred as I drove past Strumpshaw yesterday: a Woodcock flew between the beaters to escape the line of 'Hoorays'! 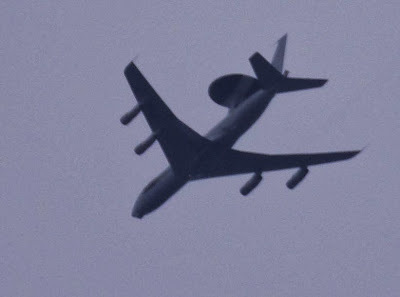 Good for him! 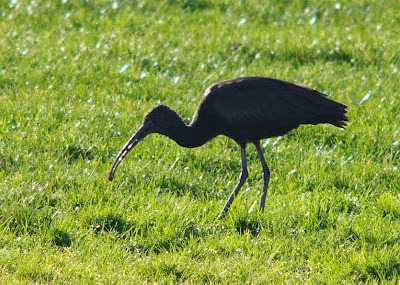 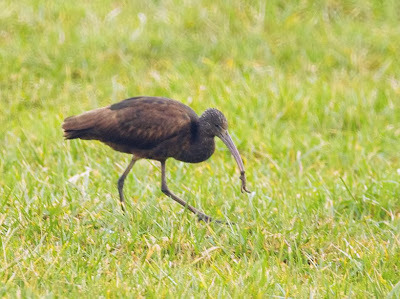 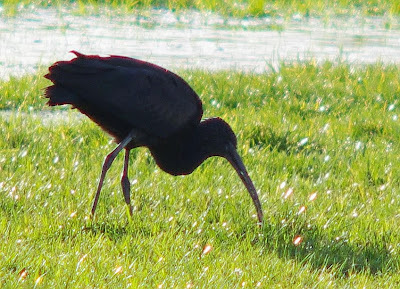 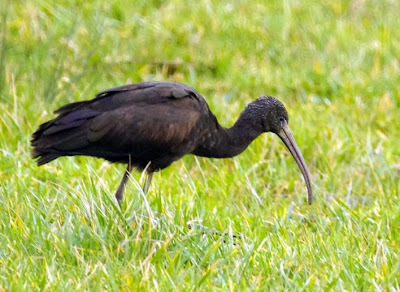 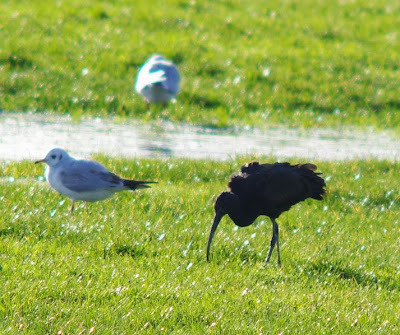 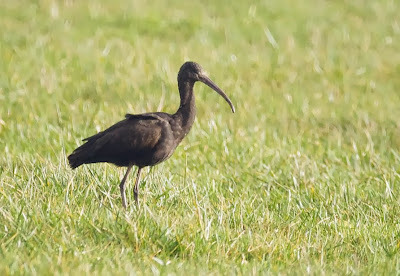 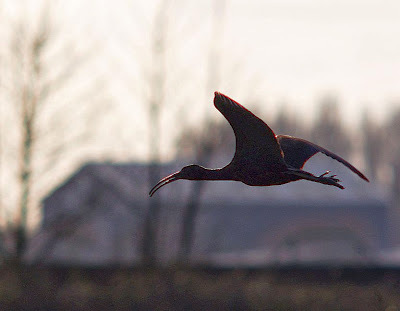 I dashed out to try for the Martham Ibises, but despite a long search, I failed to connect. 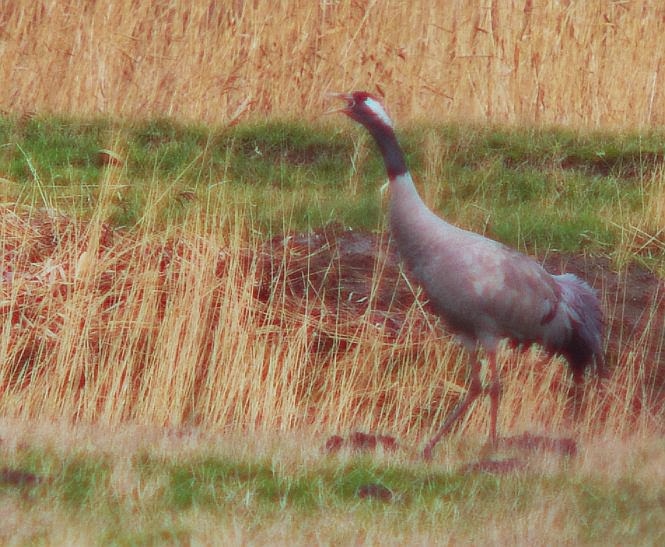 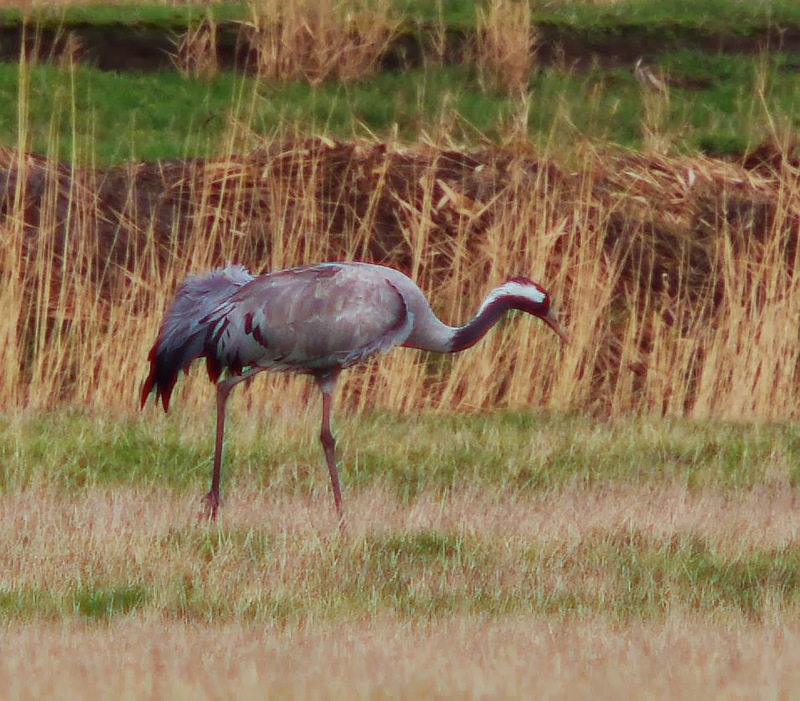 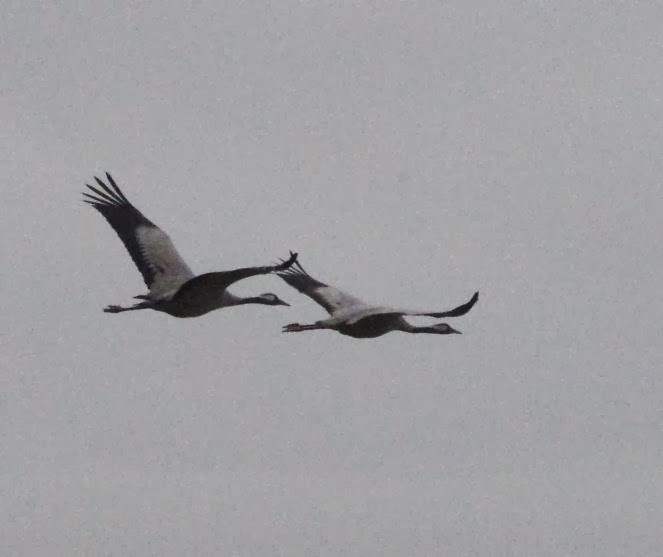 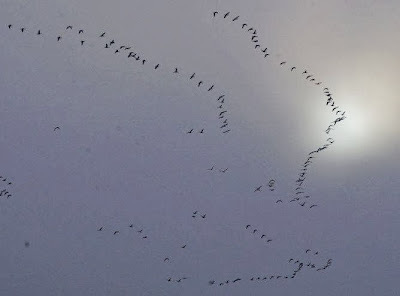 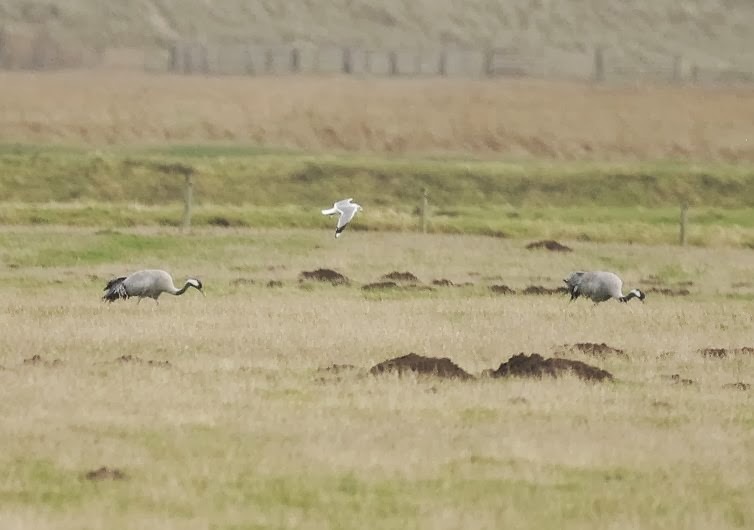 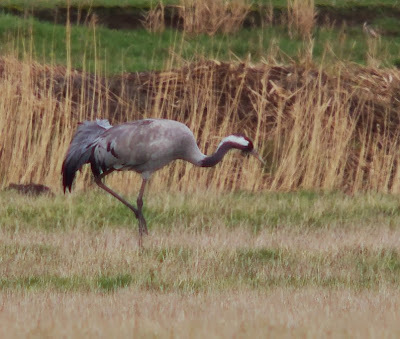 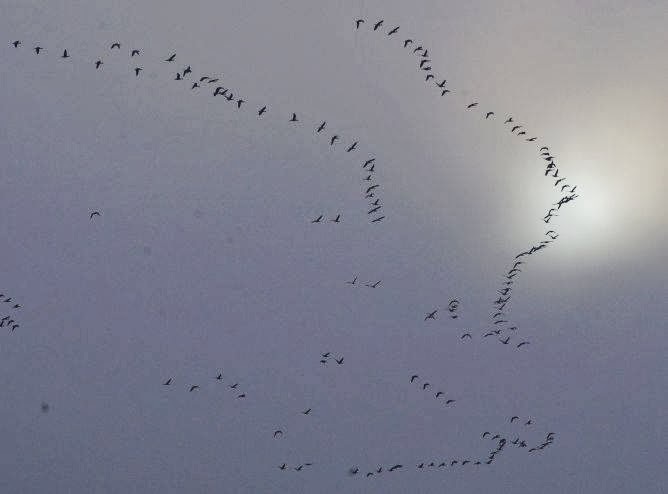 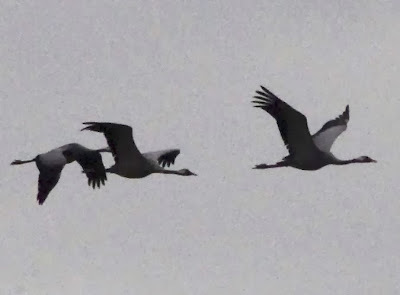 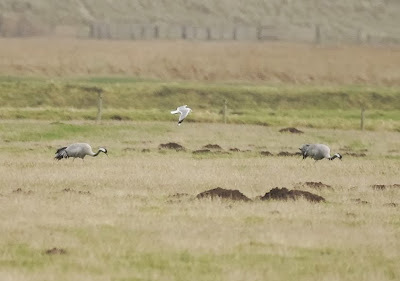 However, a move to Horsey produced three groups of Cranes: 2, 3 & 2, allowing some reasonable photos. 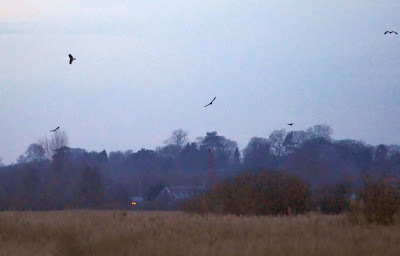 Other birds included Pink Feet and a couple of Beans at Martham Ferry and lots of Marsh Harriers. 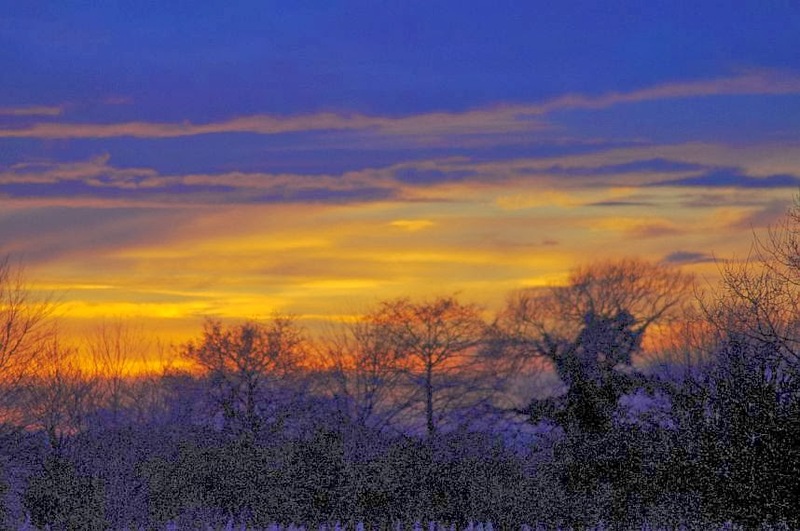 Compo, Clegg, Foggy & co. hit the Brecks! 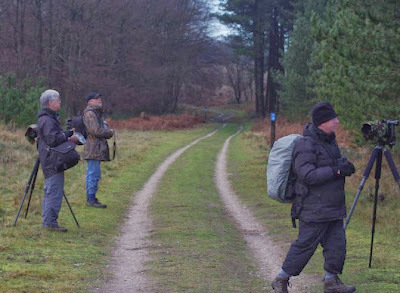 You know, when I review my photos of the 'Strumpshaw Crew' on an expedition, we really do resemble an episode of Last of the Summer Wine! 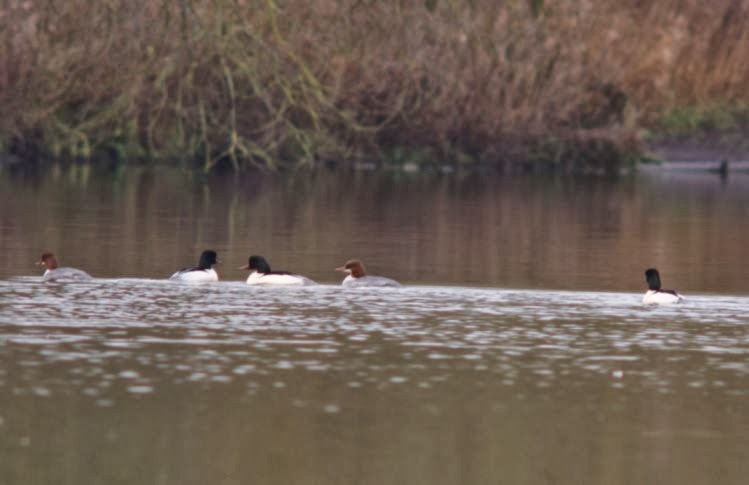 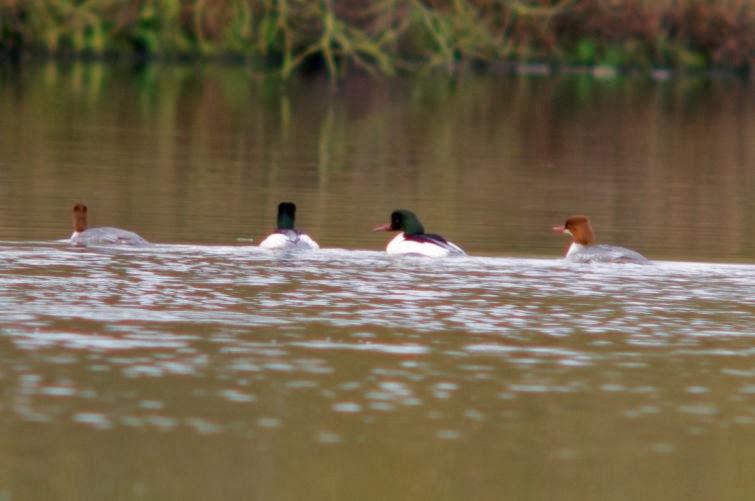 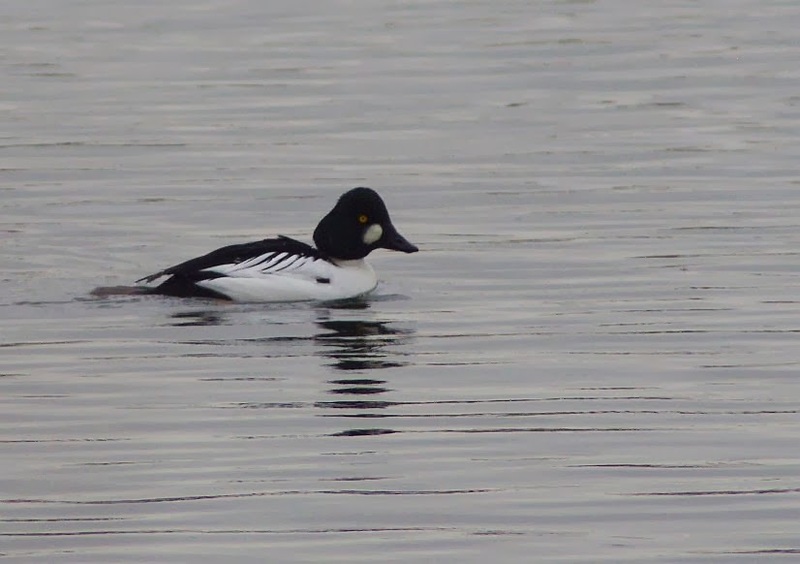 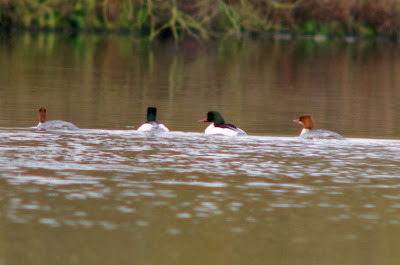 A long-overdue visit to West Stow failed to produce the anticipated views of Crossbills, but was terrific craik, with Treecreepers a-plenty, Willow Warbler, Nuthatch, Barn Owl and - best of all - five Goosander on the lakes. My older brother Dr Rob was up in Norfolk on business, so it made sense to cook him dinner and take him to Strump this morning. 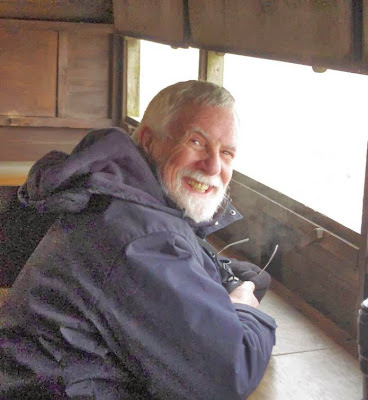 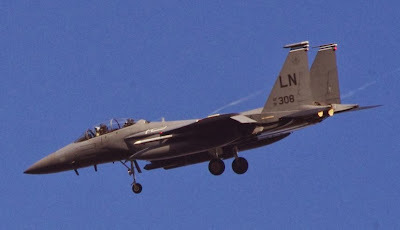 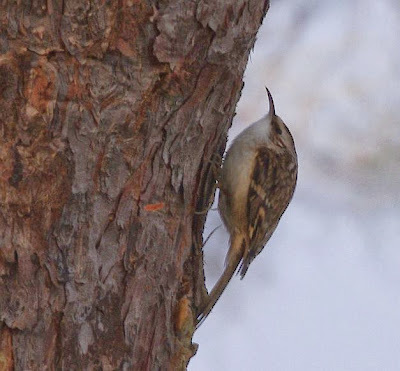 I should say: it was he who turned me on to birding back in the 60's: unlike me, he connected with the Kent Golden-winged Warbler! 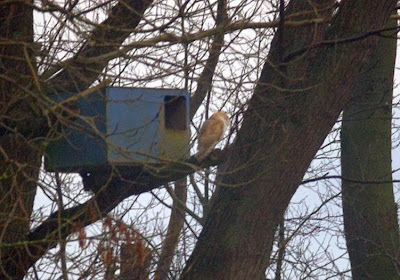 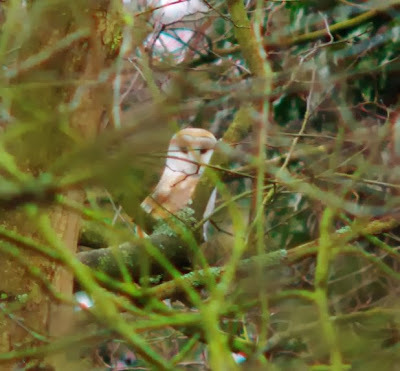 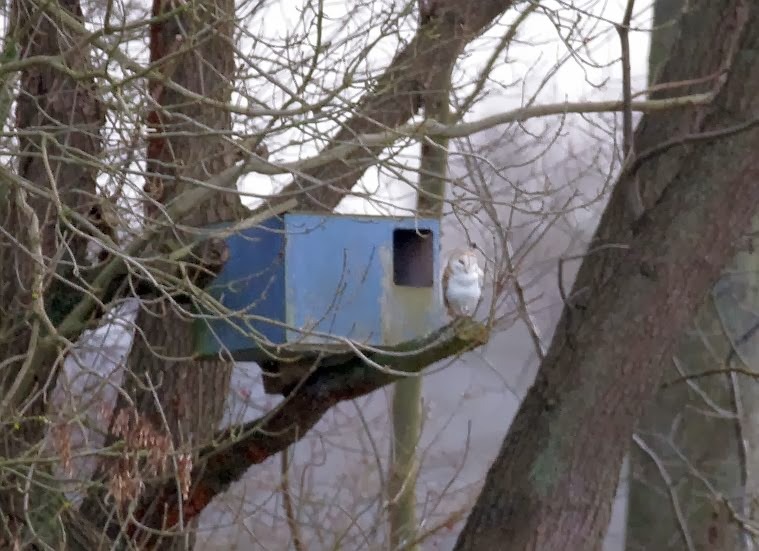 We didn't manage anything that exotic, but the Barn Owl posed for us again, as did 9 Bullfinches, several Chinese Water Deer and an otter at the sluice.... A really great morning! 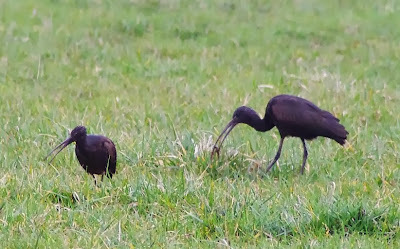 With nothing 'special' around, Martin & I decided it was about time we had a day on the East coast. 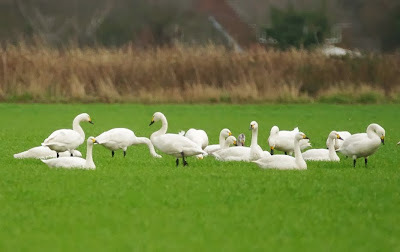 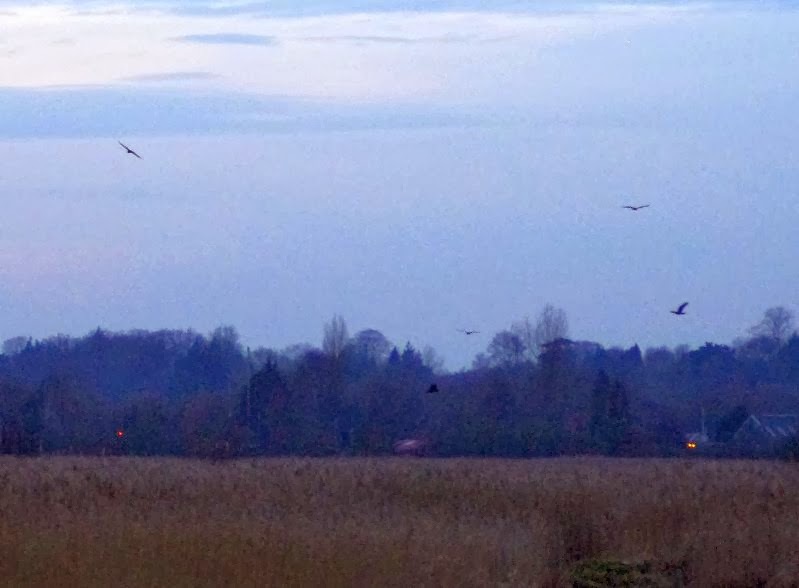 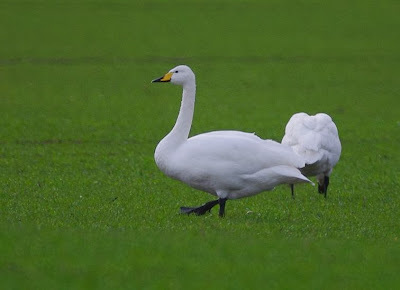 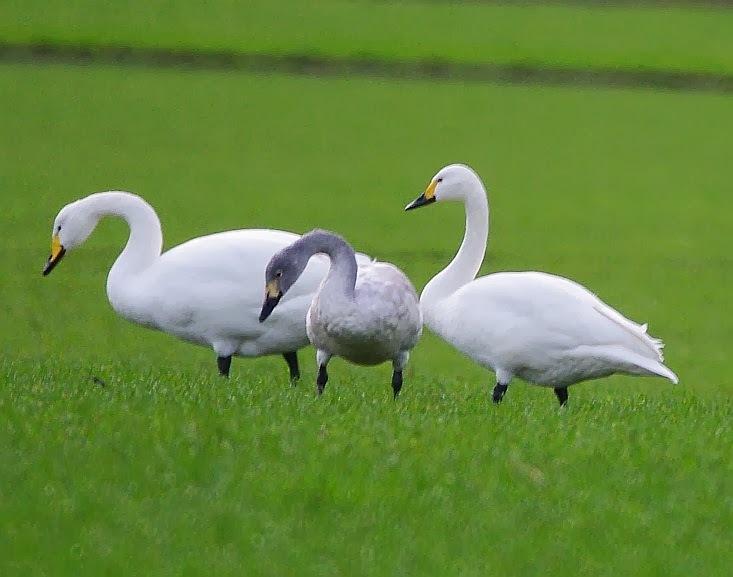 We started off at Ludham Airfield, where a dashing Peregrine and further close views of the over-wintering wild Swans set the ball rolling! 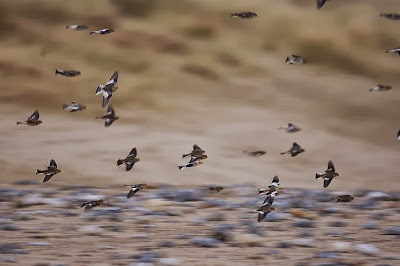 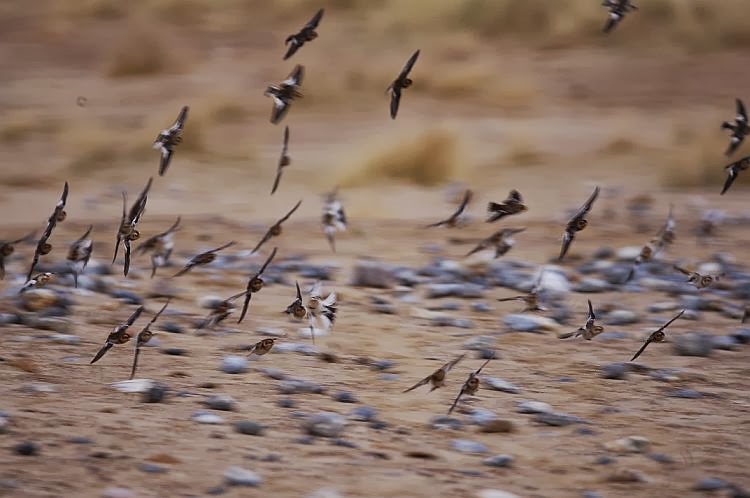 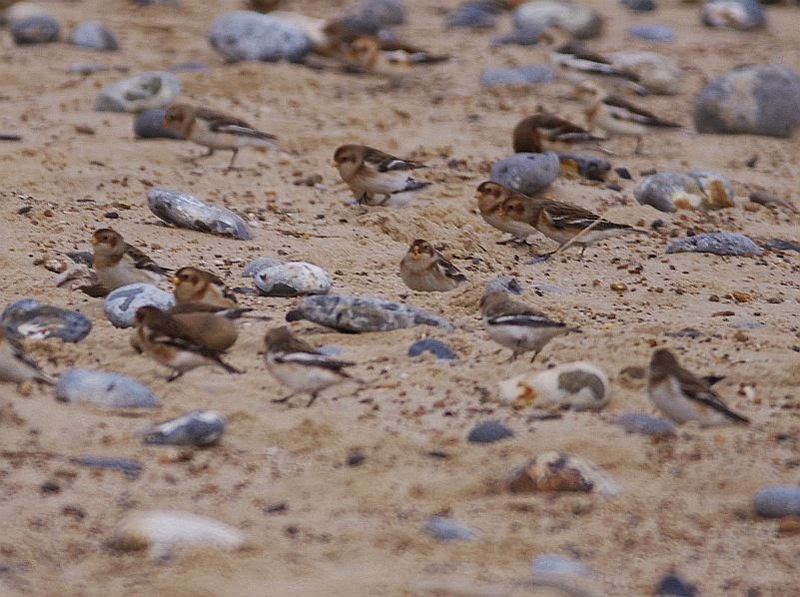 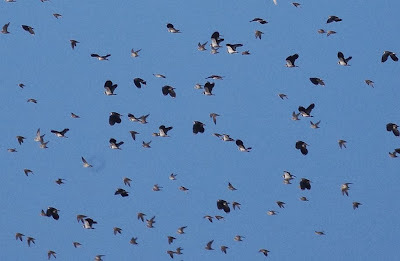 Next stop was Winterton, where we came across Barry Jarvis putting down seed at the top of the beach: as soon as he moved on, a large flock (80+) of Snow Buntings descended to feed. 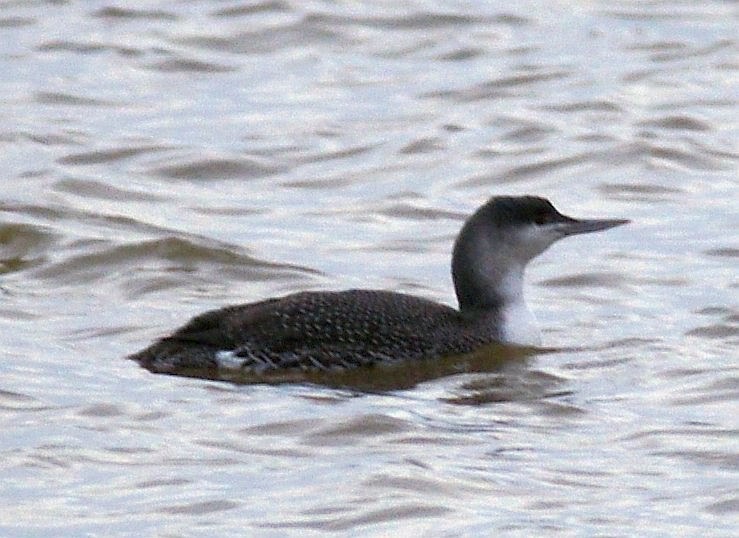 Offshore a few Red-throated Divers and Scoter were loitering, while overhead vast numbers of Pink-footed Geese were on the move. 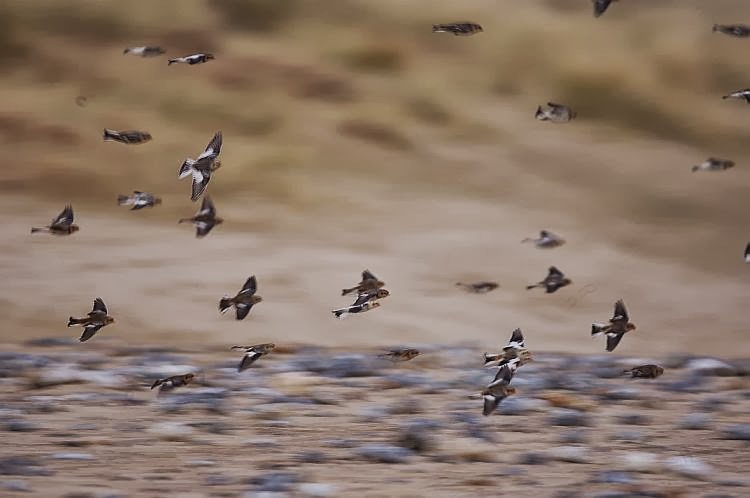 Despite a couple of miles walk and an hour or so checking out the dunes in front of the Imperial Hotel at Yarmouth, we didn't manage to 'kick up' the long-staying Shorelarks. 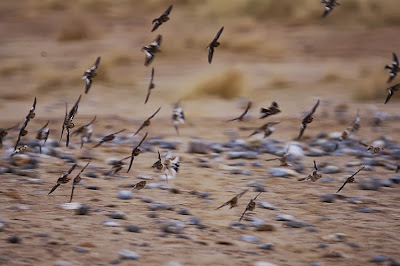 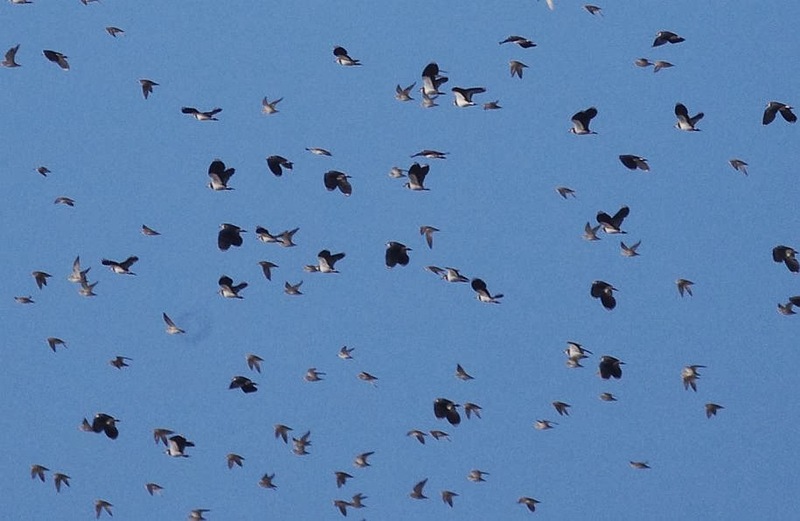 We did see a single Lapland Bunting and lots of Skylarks (which seemed to mislead a group of visiting birders!) 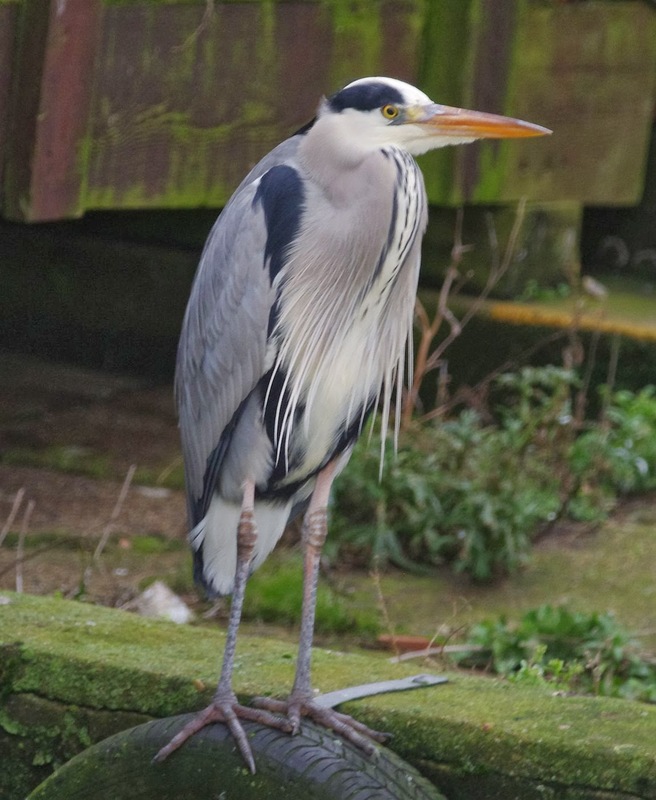 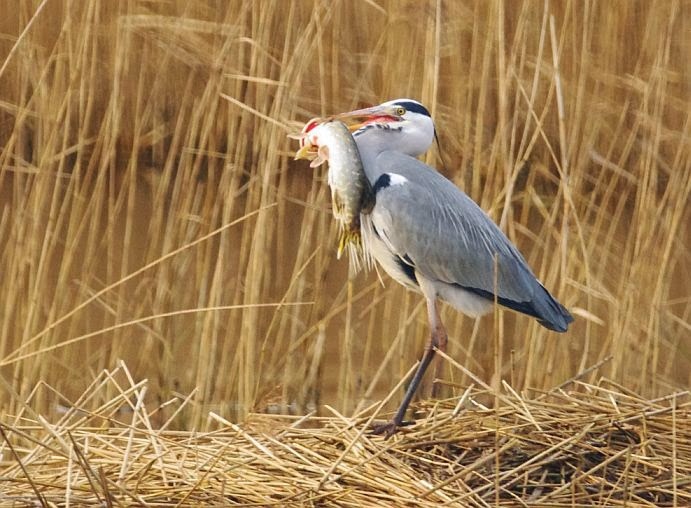 Amazingly, there were no Meds among the Gulls on the Waterways, just a somewhat headmaster-ish Grey Heron! 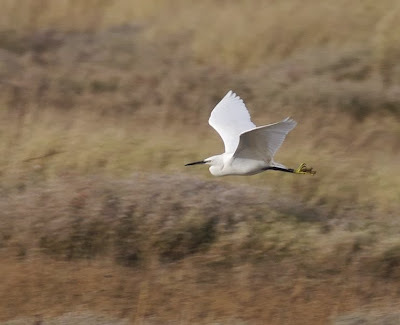 A scan of Breydon Water from the remains of the hide added Little Egret to the day's total, as well as the amazing spectacle of around 5000 mixed Plovers wheeling around above the mudflats. 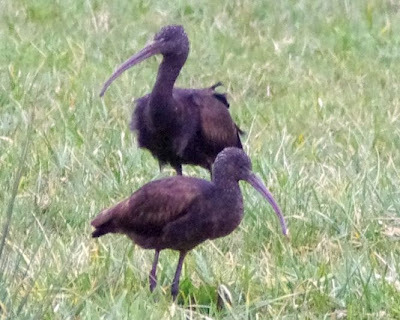 A post-prandial dash out to Gt Yarmouth was immediately rewarded with excellent views of this unringed Ibis.... 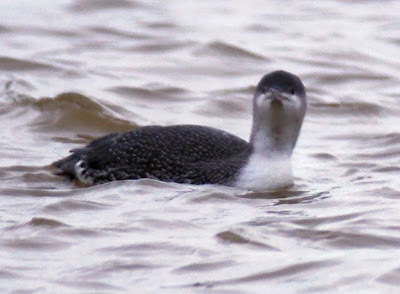 Funny to reflect on my long twitch down to Stodmarsh back in the eighties to see my first! 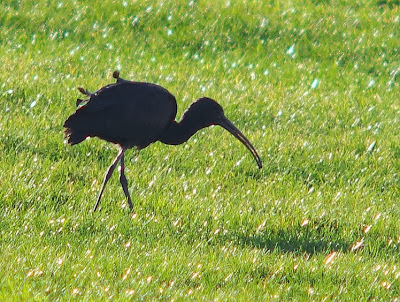 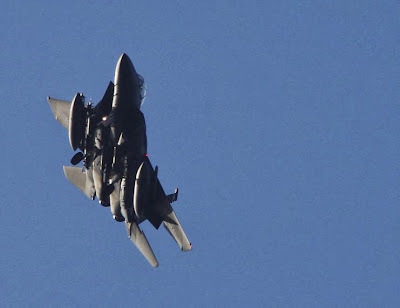 Now I've seen 6 within a few miles of the front door! 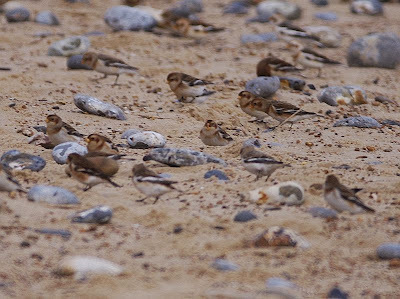 Frustrating: but a good home patch year-tick!